29 September 2011. Friday. "It is time to know your enemy" -- talkin' caliphate. The greatest threat to peace and security today: powerful and lobbyist groups like CAIR have successfully painted Muslims -- all Muslims -- as victim, while ignoring the real problem, radical Islam. The problems in the Middle East are not happening only over there. They are coming here. Honor killings in America. (New York, Georgia, Texas, Arizona, Florida...) Not always talked about as honor killings, sometimes PC language mislabels these things as accidents. Story from Yesterday: St. Louis. Iraqi immigrant (and Muslim) -- attacked, stabbed, and held at gun point. And then he had the Star of David sliced into his back. "I think that is the quintessential hate crime." Why was this man carved? He wrote a poem ("Cries from the Heart of the Holocaust") on the blog Arabs for Israel. "For simply expressing his shock and sadness for the murder of six million Jews, that is what he got carved into his back." Iranian Pastor, Yousef Nadarkhani, converted to Christianity thirteen years ago. Two years ago, he was sentenced to death under Sharia Law for apostasy. The best chance Nadarkhani has to beat the case is to repent his faith. His final trial is today, and we'll see by next week if he lives or dies. "Remember... officially, [Iran] is ruled by Sharia Law." Time for New Beck Transcripts? I've been considering reviving this blog. Beck has a new show on GBTV, and it truly is a lifeline to the truth. Here are the transcription problems: it's a two hour show with few commercials. On his Fox show, it took me about three hours just to get the text down, not to mention adding links -- and that was about 42 minutes of actual show. As always, I prefer to keep posts restricted to Beck-only. Please do not bookmark this particular page. Eventually it may be moved elsewhere (in this blog), to keep things as clean as possible. Lastly, if you are in the Midwest (especially if you are in Wisconsin), I would very much like to know so we could perhaps get connected in a more direct way. Text is all here. Need to add pics and links. 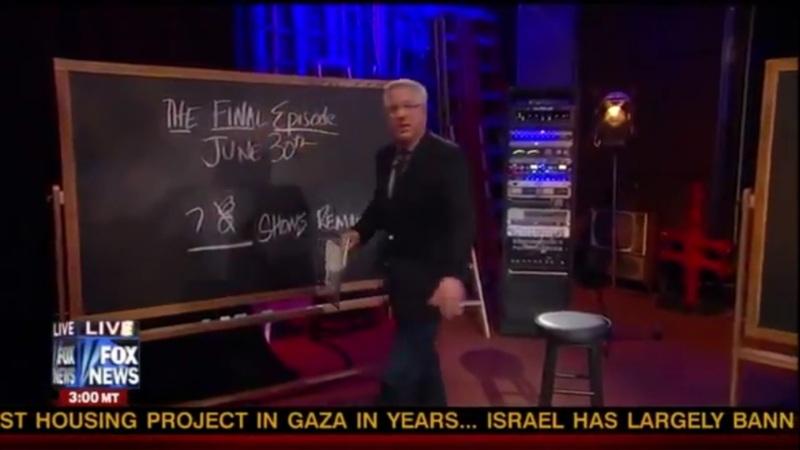 Welcome to the Glenn Beck Program. I want to go over a few stories that came across my desk this morning, and I want you to see if you can figure out what they all have in common. First, Greece is rioting. [video.] These are the police in Greece. More violent clashes as the youths throw rocks and gas bombs at the Greek Finance Ministry over the cost cutting measures being taken by the government. They bombed a satellite truck, they blew up kiosks, they attacked police. The protests and strikes have brought the economy to a grinding halt. Everything from the electric company workers to ambulance drivers to air traffic controllers to public transportation employees -- they all walked off the job. Greece is lovely today. We told you about this two years ago. We told you it was coming. Nobody believed us then. There's much more coming. Okay, there's story number one. Hello, America. We are counting the days down. Next Thursday is the last broadcast -- eh, this broadcast -- on this network. And I can't thank you enough for joining me for the last couple of years for what has been an incredible journey and life-changing journey. For me, and I hope that in some way you have been affected and now go out and affect or infect others. Join us all next week for the final episodes here on Fox. 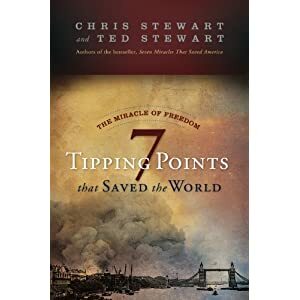 Chris Stewart is a guy who I read one of his other books on my last vacation, I think it was in January, and I actually called him while I was on vacation. I actually got yelled at by my wife [voice] "What are you doing? You're on vacation." I said, "I have to talk to this guy." 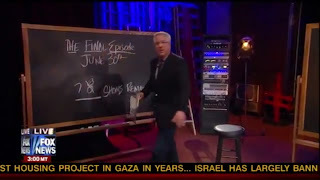 Welcome to the Glenn Beck Program. [Beck seems a bit more somber than usual.] Tonight, we're gonna talk about the education program in this country. We have an audience full of college-aged Americans who are chomping at the bit to have their voice heard and have their chance up to bat. But first, we have -- it says eight, but I don't actually think it's eight, and I don't think I have an eraser here -- we have seven shows left. Six after tonight's program. And I have so much to cover.